Thomas Ferrell Allison was born on 28 October 1979 in Parkland, WA. Tom was a bright-eyed kid with a rugged build and a gleaming smile in Buddy and Pat's (his father and mother) family photos. Grade-schooler Tommy was in a plastic helmet playing war or cutting up at church camp - religion was a passion. He's shown with a sweet girl by his side at Washington High in Tacoma, posing with his muddy Blazer 4x4, and with sisters Debbie, Christine, and brother Scott, now an Army Sergeant. 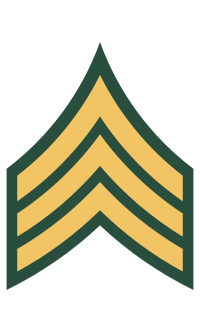 U.S. Army Sgt. 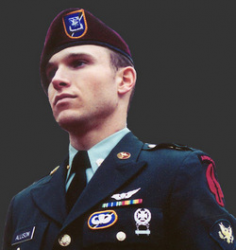 Tom Allison was a Night Stalker, a skilled, secretive commando force assigned to the 160th Special Operations Aviation Regiment based at Fort Campbell, KY. On 22 February 2002, Tom and nine other U.S. servicemen were scouting Muslim rebels on Basilan Island as part of the War on Terrorism in an effort to rescue a nurse and an American missionary couple. Allison was killed in the crash of a MH-47E Chinook helicopter off of the Philippine Islands in the Bohol Sea off Negros Island. Fishermen saw his helicopter erupt in a fireball and disappear, the cause unknown. Three bodies were recovered; Tom's was not. Tommy's parents had only a memorial plaque to stare at as they sat under the green canopy at Tahoma National Cemetery. A few words were said, a 21-gun salute was given, "Taps" was played, and an Army helicopter came in low over the rows of American flags lining the military graveyard east of Kent, WA. Nearby, an honor guard held a flag over an imaginary casket. Sergeant Thomas Ferrell Allison died on 22 February 2002, and his body was lost in the Bohol Sea. A memorial for him is located at Tahoma National Cemetery in Kent, WA, is Section 6, Site 36.